Are You Ready for the Google Algorithm Updates in 2018? As the customer experience becomes a bigger part of marketing, Google has been changing its search algorithm. They, too, are focusing on the customer. Their goal is to find them correct answers in seconds, so ranking on the first page of Google is getting to be more and more pertinent. So, are you ready for the Google algorithm updates this year? Each search and social platform have algorithms that determine what content is displayed to you. They’re trying to weed out all the “junk” and bring you valuable content. Each year, Google’s algorithm is updated hundreds of times, most of which is so minor that we don’t notice. However, that is not always the case. Some changes heavily impact your marketing. Below are a few that have happened over the last few years. See a complete list from Moz. Snippet Length Increase – Google increases the number of characters allowed in your snippet from 155 to 300. The new featured snippet length is 300 characters. Mobile-Friendly Ranking – Google awards websites with mobile versions with higher rankings. Panda Update – Google starts cracking down on sites with low-quality content and poor search engine optimization (SEO). Once upon a time you were able to rank by having new content stuffed with keywords to the point that it didn’t make sense. 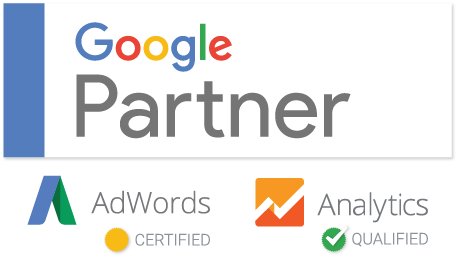 Google is now requiring quality content and awarding brands who put the time in to create it. So, no more keyword stuffing. Additionally, the Panda update put an end to sites that were deceptive. This included websites that had excessive pop ups, spyware and viruses. If your site is not coming across as trustworthy and reliable, Panda is there to protect its users. Penguin Update – Like the Panda update, Penguin also hit websites for poor SEO. Google wanted to ensure that sites earned their credibility. Buying cheap backlinks and attaching to low-quality site networks finally caught up to some business owners. Those who had built their site the right way, were rewarded. As you can see, these updates can drastically affect brand websites. Some sites had to be completely re-built to have a chance at ranking. The key is to stay ahead of it. Let’s dive in to changes that are coming this year. Tyler Bishop from the Ezoic blog had a chance to hear about the new changes at a Pubtelligence event. Google search team member Illya Grigorik told the group how to prepare for algorithm updates in 2018. The good news is that these updates are much easier to prepare for than the Penguin and Panda updates. Mobile First – Since the future of search is in the palm of our hands, the ability of your site to adapt for mobile users is going to be huge. Google was previously awarding site owners, who had a mobile-friendly version. Now, they will only look at your mobile version. Make sure it’s just as good, if not better than the desktop version. Get Structured – Websites that contain structured data have the opportunity to be seen by users in new ways. Rich cards will be added to showcase special types of content, such as recipes. Add structured data to your site to help improve your rankings. Rich cards will have a new look. 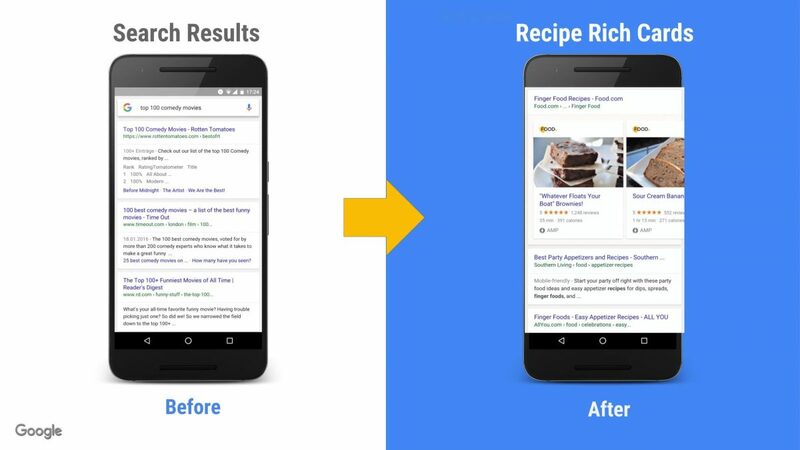 Increase Your Speed – Google is aiming to get results for users faster than ever. This includes making sure your site load time is under 5 seconds. Additionally, they want the user to be able to find the answers they seek almost immediately after the page loads. Check your site speed to ensure you don’t get pushed down the ranks. One of the biggest contributors to slow-loading pages is having images that are large in file size. Don’t make that mistake. Get Secure – Last year, Google Chrome started giving warnings for sites that were not protected by a security certificate. This year, the warnings will change and stand out more. It also affects your ranking. If you have not made this change, now is the time to do so. Security certificates can easily be added to your site right through your hosting account. If you’re worried about broken links, don’t be. See how to change your site in Search Console. Google shows a site's security status in the address bar. In conclusion, always have the user in mind when creating content as Google does. Make answers easy to find, have your site load faster and make sure it shines on mobile devices. The mobile first changes have already begun and site speed will be a factor in July 2018. We'll keep you posted on the remaining dates as we know about them. P.S. Not sure where your site stands? Schedule a free consultation today!